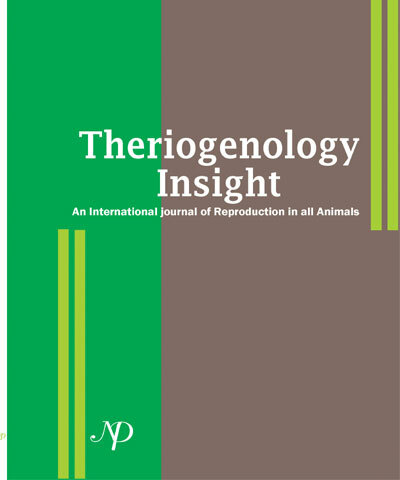 Theriogenology Insight is a peer-reviewed, journal which focuses on all aspects of reproduction of living organisms from protozoan to mammals including human. Theriogenology Insight publishes research papers, reviews, case reports, technical notes and short communication reporting significant results obtained using new techniques. Encouraged topic areas include: reproductive biology, physiology, endocrinology, biochemistry, pharmacology, toxicology, genetics, reproductive cycles, functional morphology, phylogeny, behavioral and regulatory mechanisms, including genetic, endocrine and molecular studies in addition, cryobiology of gametes and embryos, conservation biology and assisted reproduction of domestic, wild, avian, aquatic species and human.